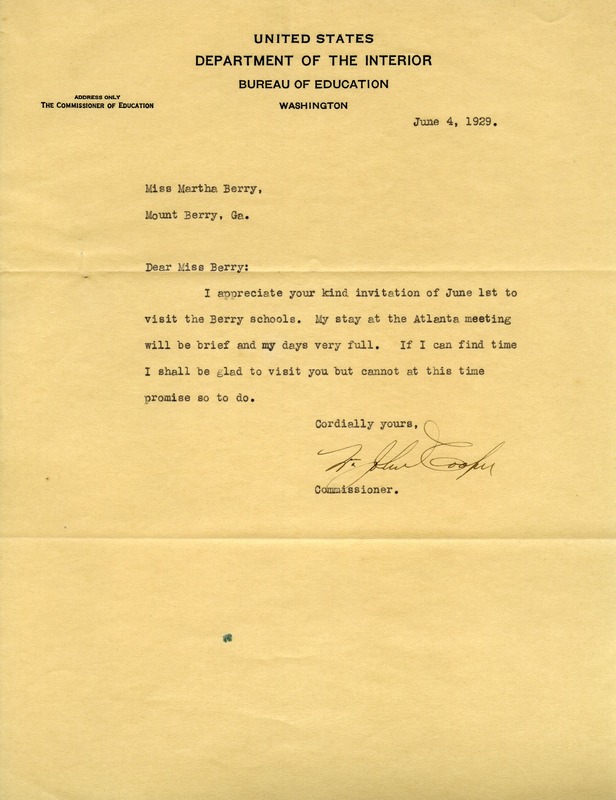 Mr. Cooper writes to thank Miss Berry for her invitation to visit the Schools, but says that his days in Atlanta will be very busy so he will try to visit but can't promise. A. John Cooper, “Letter to Martha Berry from A. John Cooper.” Martha Berry Digital Archive. Eds. Schlitz, Stephanie A., Chelsea Risley, et al. Mount Berry: Berry College, 2012. accessed April 21, 2019, https://mbda.berry.edu/items/show/9836.